This post is not only about wall decor but decorating in general, and decorating nurseries in particular. It’s one of the most fun types of rooms to design, and you have free reins to use items, materials and colors you normally wouldn’t. Having said that, I have to confess that I prefer nurseries with a more restrained color palette as a base, one that still works when the children get older. You can always add color with furnishings, toys and art. And there are so many chic items available for babies and children that you really never need to skimp on style. 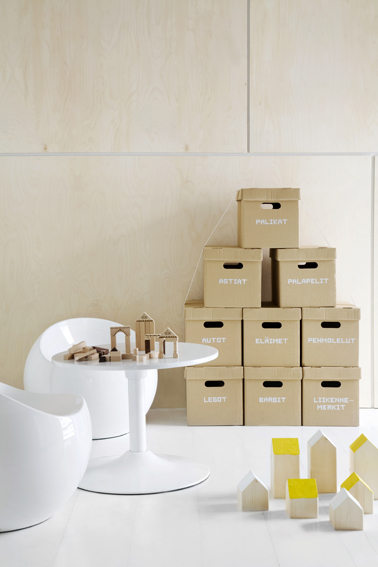 In Scandinavia, true to their love for white and minimalism, many nurseries and children’s rooms are just as spare and stylish as the adult living quarters. No frilly pink lace or color combinations that feels like a slap in the face here. 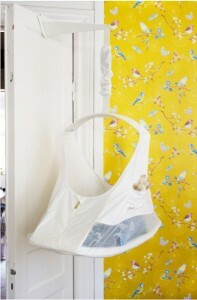 The gorgeous examples below are styled by Finnish interior designer and stylist Susanna Vento. This category is all Dutch. 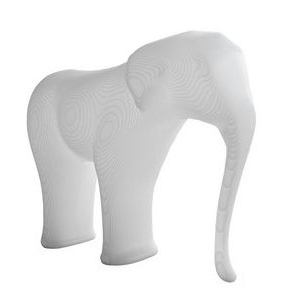 There is tons of fabulous design coming out of the Netherlands all the time (also see my wall lamp designs, Paper Cutting, Curtain Fabric and Bertjan Pot posts), and so much of it is playful and unique and well suited for kids’ rooms. 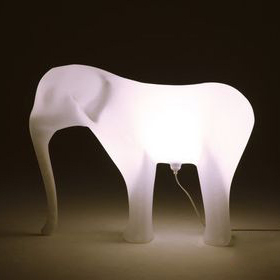 In fact, it was while decorating a nursery that designer Richard Hutten came up with the multi-functional “Low res elephant”. It is a stool, decoration and lamp all in one. The elephant measures 27.6 x 9.8 x 22.8″ and I think Richard’s description of himself in a recent interview fits his work as well: humorous, friendly, surprising. 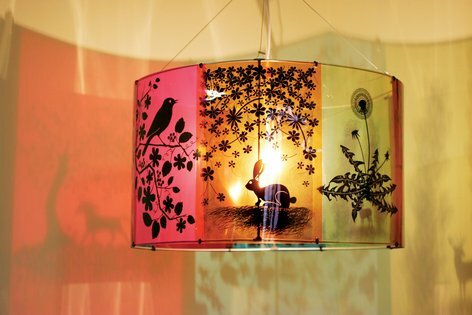 I personally adore pretty much everything that Tord Boontje comes up with, and this lamp is no exception – it’s not only cute, it projects the shadow of the images on the walls all around the room. 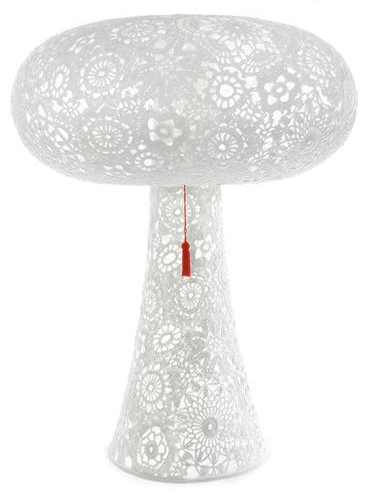 Perhaps not what most people would get for the nursery, but I think the “crochet light” by Marcel Wanders would look adorable in a little girl’s room, AND she will still like it as a teenager (and if not, you get to use it yourself!). 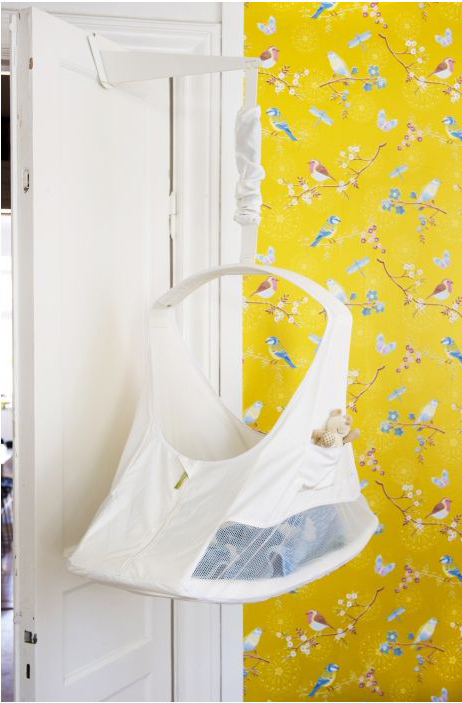 Although not intended for decorative purposes, I think the “sleep swing” from Swedish company Mawok is so adorable that it doubles as nursery decor. And it’s practical too! The team behind Mawok – husband and wife Monica and Anders Landberg – invented it after they did what many Swedes do: spent the winter in Thailand. Their 9-month old son wasn’t thrilled with his local sleeping accommodations, and after several sleepless nights his parents decided that something had to be done. They found a locally made hanging swing and it was an instant success with the little one. Everyone slept through the night and got to enjoy their vacation. Back in Sweden, the swing quickly became popular with their similarly sleep-deprived friends and the idea to design their own version of the swing was born. You can hang it on a wall or over a door (it comes with both a wall mount and a “travel mount”) and it’s easy to bring along too (no more crying through the night at Grandma’s house). The swing rocks the baby vertically instead of horizontally, and according to Mawok, it helps prevent colic and trains you baby’s balance. 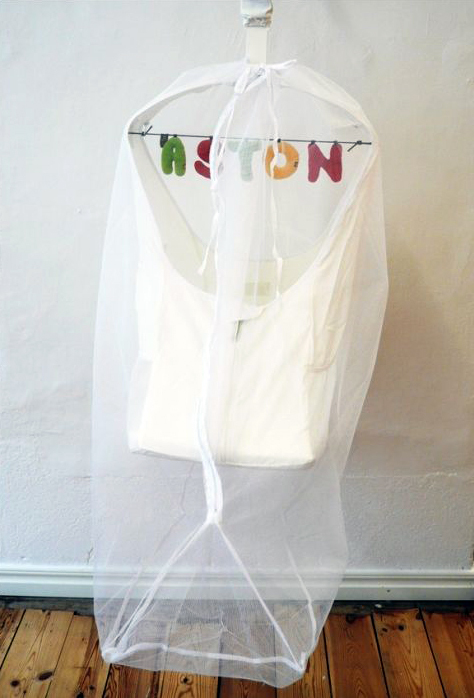 It comes in all white with a carrying bag, and there is even a separate mosquito net (brilliant!). Who doesn’t like elephants? Not only are they adorable, I love the color scheme here, the grey/peach/orange combination is wonderful and could be the inspiration for the entire room. And this “Fluffy Friends” border is sooo cute and perfect for a nursery. For more items specifically for children, check out my posts on wall quotes, wall clocks, and nature wallpaper (look for “Butterflyland”).